Is there a room in your house that needs something special but you don’t know what to do with it? Want to draw interest to a certain space but you don’t know where? The ceiling is always and amazing place to draw interest! It’s a blank canvas to do whatever you want with. There are so many interesting ideas people have done with their ceilings. These 5 design suggestions will give you design ideas to make your home unique and your ceiling eye catching! 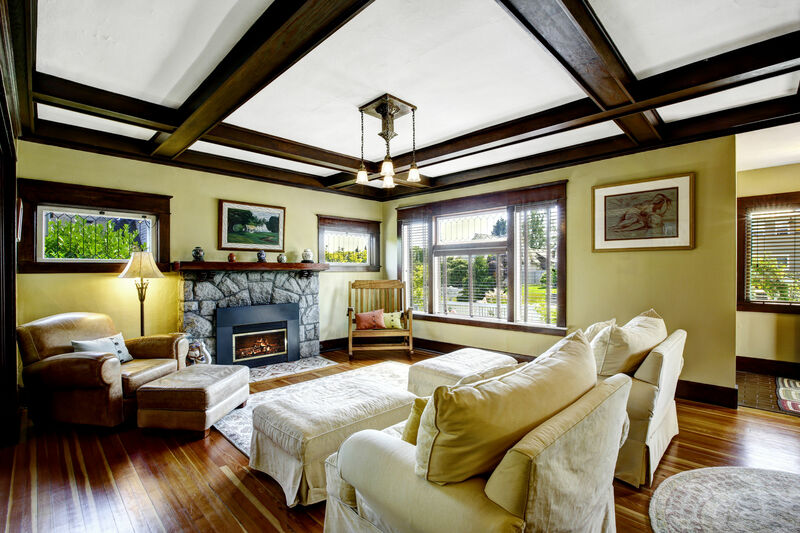 Coffered ceiling is a look that you can master yourself by putting beams on your ceiling with some type of pattern or design showed in the picture. You can paint the beams any color you would like. 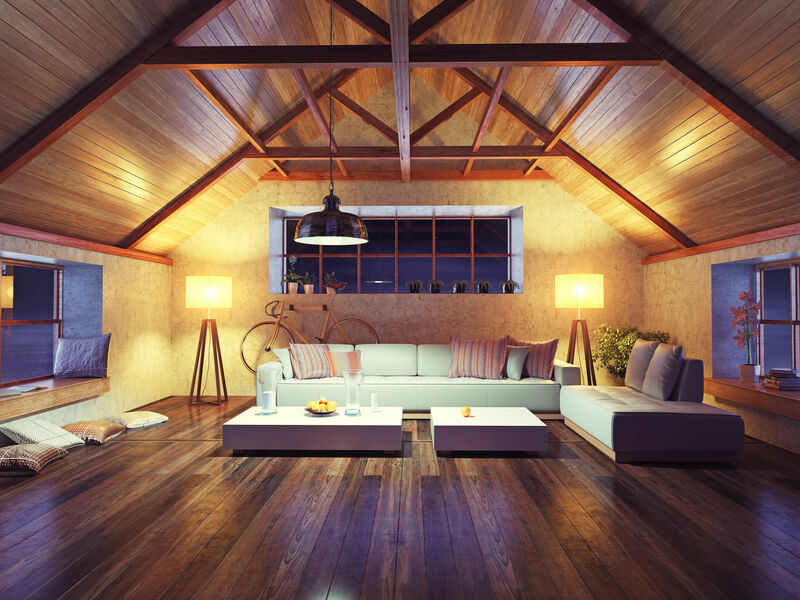 For a rustic look, keep the wood beams exposed. These beams will draw the attention to your beautiful ceiling. Just like the beautiful example above, coffered ceilings can draw interest into the ceiling as soon as someone walks into the room! Putting beadboard panels on your ceiling are an inexpensive way to cover up popcorn ceilings and add interest to your view looking up! Beadboard panels come in all types of different styles, colors, and patterns. This makes it easy for you to design it according to the style of your home. You can watch this awesome video about how to install a beadboard panel ceiling! Adding texture with wood to any surface is popular these days. Wood on a ceiling gives the home warmth and comfort. You can keep the wood exposed or you can paint it. Either way, its going to be a lovely addition to the room. If you’re going for a rustic look, I suggest staining the wood darker. If you’re going for a beach theme, I suggest staining the wood a gray tone. If you’re going for a more modern look, painting the planks white would be the way to go! HGTV has a great explanation of how to put wood planks on the ceiling. This is especially dramatic on cathedral ceilings. You put wood beams going up towards each other to meet at the highest point. If you don’t have cathedral ceilings, putting the beams straight across will still add a gorgeous touch to your room. Again, painting the beams any color you would like to complete the look of a room. If you don’t want to add anything to your ceiling, simply paint it! Keeping the walls white and adding a color that stands out can add a whole new feeling to the room. 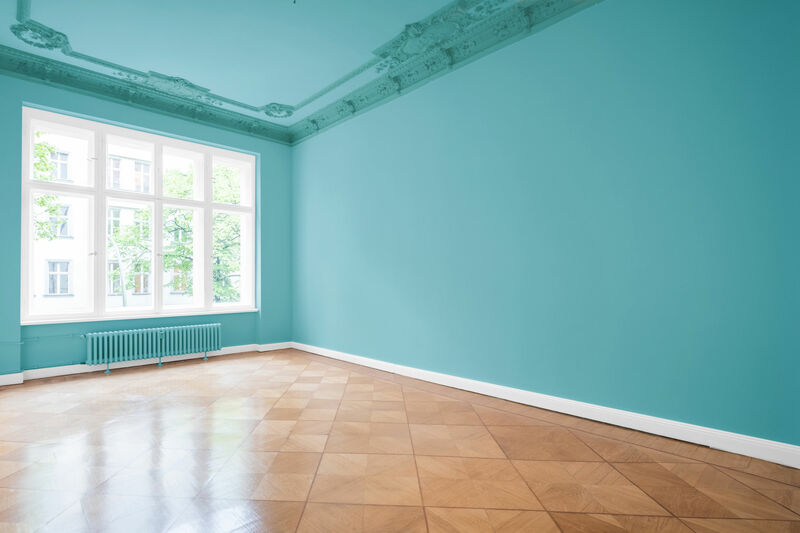 Or you can paint the ceiling the same color as the walls like the picture above. You can make a dramatic feel with only adding paint! It’s easy and this project won’t take long at all. Your family, friends, guests, and company will look at your ceiling in awe. Adding a design touch to your ceiling can be the exact thing it needed to liven up the room.